CloudCheckr uses the AWS Detailed Billing Report (DBR) to generate cost reports. This article explains how to enable the DBR within AWS, as well as set up an S3 bucket to house the DBR and lastly, provide CloudCheckr access to that S3 bucket so we can start processing your billing data and giving you insights into your deployment's cost. 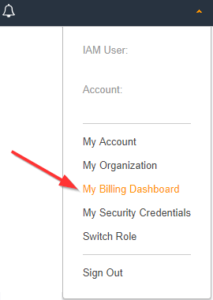 Under the Cost Management Preferences section, select the Receive Billing Reports checkbox. To receive billing reports, you have to choose the S3 bucket where they will be stored. Type the name of an S3 bucket. What If I Need To Create an S3 Bucket? From the AWS Management Console, select Storage > S3. Create an S3 bucket. See the AWS topic, Create a Bucket, for more information. Type the exact name of the new S3 bucket in the S3 Bucket text field. Click the sample policy link below the S3 Bucket text field. Copy the policy in the dialog box and click Close. From the top of the page, select Services and select S3 from the left side of the console. From the S3 list, click the name of the new S3 bucket. Click the Bucket Policy button. Paste the sample policy that you copied into the editor. Click Verify next to the S3 Bucket text field to validate that AWS saved the correct bucket policy. A green checkbox indicates that the bucket is configured correctly. On the Preferences page, scroll down to the Report section, and choose the billing reports that you would like to receive. We highly recommend that you select Detailed billing report with resources and tags. If you only select Detailed billing report, the application will not be able to show your bill by resources. To get the most out of CloudCheckr, we recommend that you enable all reports. It can take a few days for AWS to build these reports. Once they are available within AWS, CloudCheckr will use the data to build your cost reports. In AWS, identify or create an S3 bucket where you want the DBR to be stored. Make sure that CloudCheckr has permissions to access this bucket. The Edit Detailed Billing Bucket page opens. In the S3 Bucket section, replace the name of the existing S3 bucket with the exact name of the new S3 bucket.